Ho Technical University Congregation Date… The Ho Technical University 18th Congregation Date and Schedule of Events 2018 has been released. HTU Congregation Date and Schedule of events for 2018 has been published online. 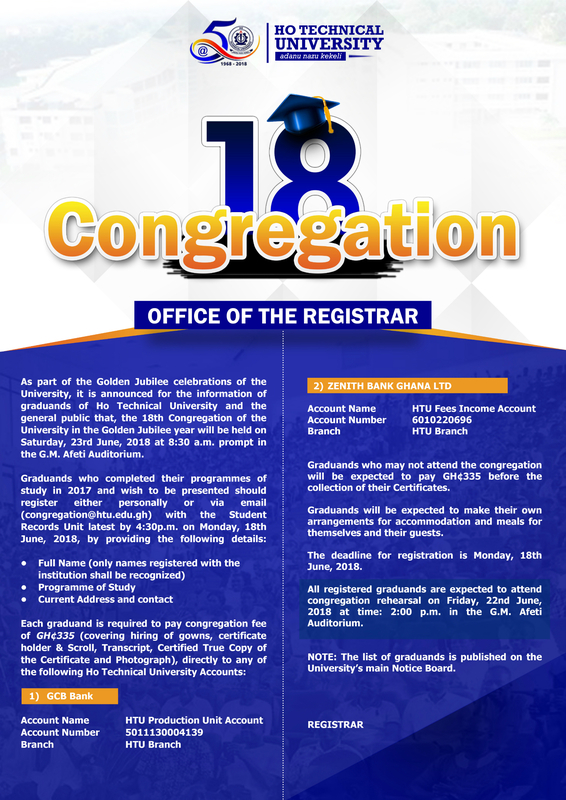 This is to inform the general public that, The management of Ho Technical University (HTU) has released the 18th congregation date and schedule of events for 2018. All members of the public and graduating students are to take note of the dates and event schedule.